After over 10 years of experience in management consulting and corporate finance, Joelle was looking to get into the start-up ecosystem in Lebanon. Her creative penchant and her passion for technology made digital marketing the thing to get into. After taking GVA’s bootcamp, Joelle was able to secure an internship at Nicho, a US-based start-up that offers businesses the possibility to control their business’ narrative by curating content from the most relevant sources on the Internet. Joelle then moved on to a new role as the Start-ups’ Consultant at Berytech, a key player in the Lebanese ecosystem for entrepreneurs, where she advises and trains start-ups with matters related to their financing and digital marketing. Ahmad had been working at Antwork as community manager for a couple of years prior to taking the Digital Marketing Bootcamp. He signed up to the Digital Marketing Bootcamp which he ran on behalf of Antwork – applying all the tools he learned to drive new customers to Antwork. Within days of completing the bootcamp, Ahmad was promoted to the Marketing team at Antwork in addition to landing 2 freelance clients as a remote digital marketer. This has helped Ahmad increase his monthly income by 160% all whilst getting a full upgrade to his career. Martina emigrated from Iraq in 2015 and had difficulty securing a job in Beirut. After 2 years of searching, she landed a job with Jaleesa as data entry analyst. She applied to the Growth Velocity Academy Scholarship program and won. Within days of completing the course, she was promoted to the marketing team which included a salary increase of 140%. She was also granted an internship with one of Lebanon’s leading e-commerce platforms. Today, in addition to 2 great roles, Martina has 172 job openings in Digital Marketing available to her in Beirut! After a career in Oil & Gas Sales in London, Hadi was in the market for a career switch. 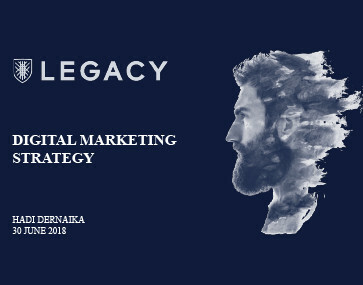 He applied for the Digital Marketing Bootcamp as a career transitioner and was paired up with Give Legacy, a swiss start up based in Geneva. Within days of completing the Bootcamp, he was offered a role as Digital Maketer with Give Legacy. Hadi was able to work with them for a couple of months, enhancing their digital presence before switching to join the Growth Velocity Academy team as country manager for Lebanon! Providing a glimpse into how students applied the bootcamp onto real life businesses and achieved deliverables within a week. A sample of the fun companies that were paired up with our “career transitioner” students during the bootcamp. "After a number of years falling out of love with traditional marketing, this bootcamp has provided me with the skillsets and the right mind-set to take charge of my career and has opened up doors with 2 really exciting projects I’m currently working on!" "The Bootcamp has provided me with a completely new way of reaching new customers and has allowed me to apply everything from Day One!"